My 21st Birthday | Christmas Cardigan | Snowballs | Selfie | Lofty's Christmas Jumper | Christmas Day Selfie | Boxing Day Dinner | Sid loved his Christmas Present | Photo from My Christmas OOTD. 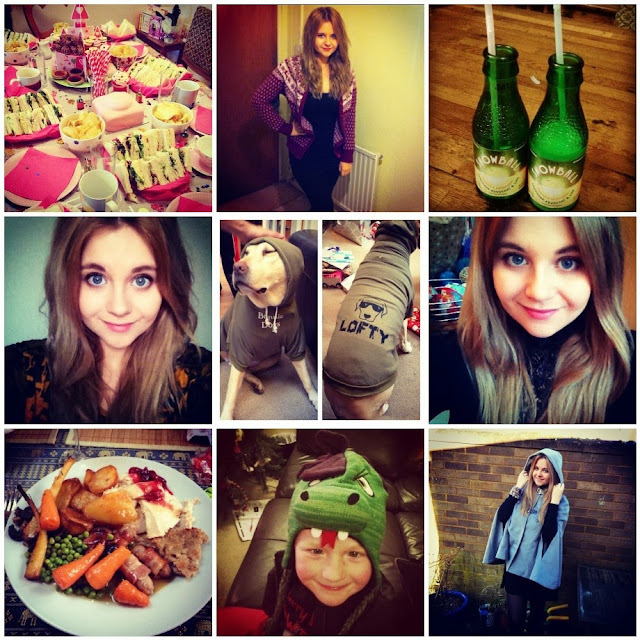 So here we are, the last Instagram Diary of 2013, aww & it has been a good year! Its seemed to be the year of the selfie, whether thats a good thing or not remains to be seen! I hope to put my Instagram for better use in 2014 as it truly is an awesome social media platform. I like it a lot. In case you want to sty up to date with my photo taking. Whats been the highlight of your December?